Each spring, most of us look to dust off the cold of winter, open up the windows and get our homes in order. For many homeowners, the biggest challenge to bringing order and getting organized is having the right storage in place. How do you store all your belongings in a way that combines both function and style? Whether you are displaying favorite treasures, maximizing a small space, or hiding clutter from view, at Elizabeth Swartz Interiors, we recommend built-in storage; with all the options available, built-ins can add architectural interest to your home as well as help you get organized in resourceful and clever ways. 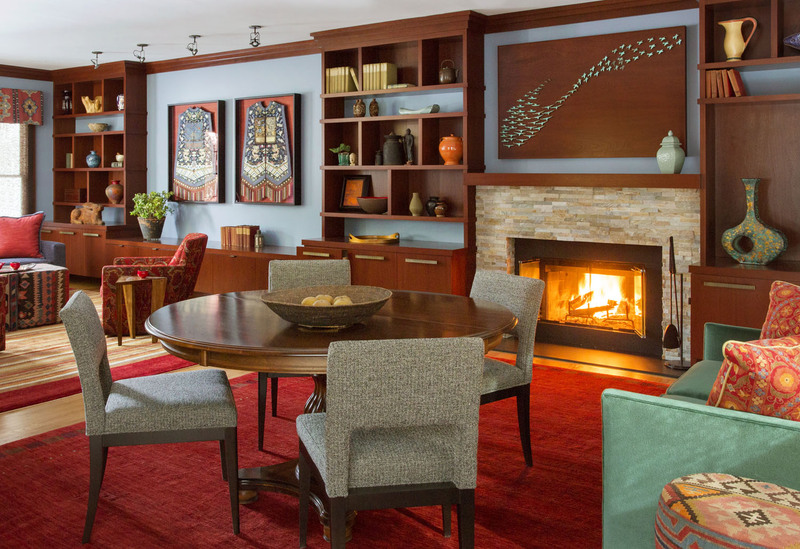 Often storage does more than hide away clutter, it is meant to display art, favorite books, photos or other collections important to a homeowner. 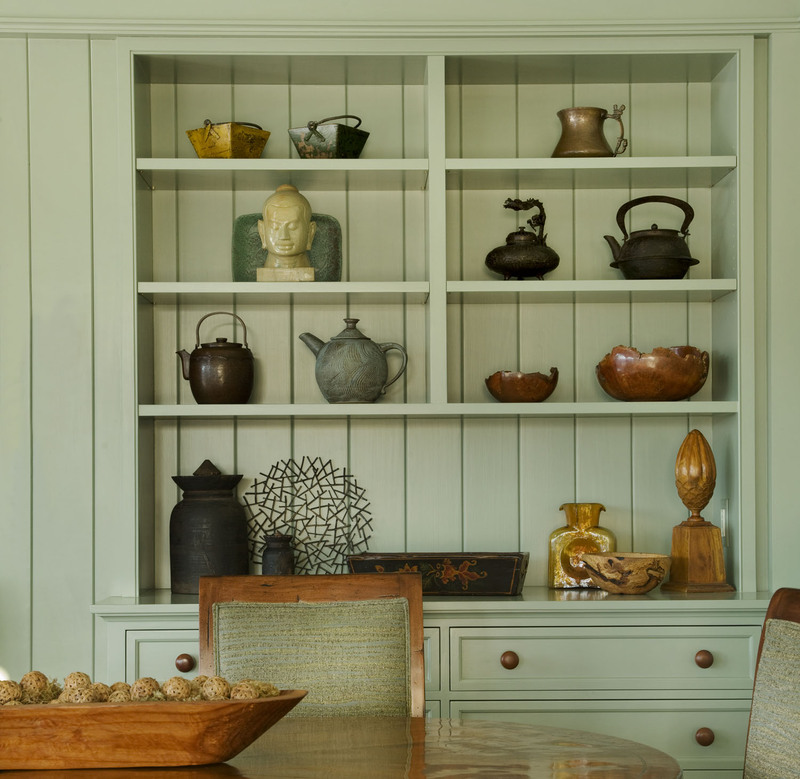 (Above) In this White Mountain retreat, a collection of teapots and kettles are artfully displayed while the drawers below provide storage for items to be hidden from view. 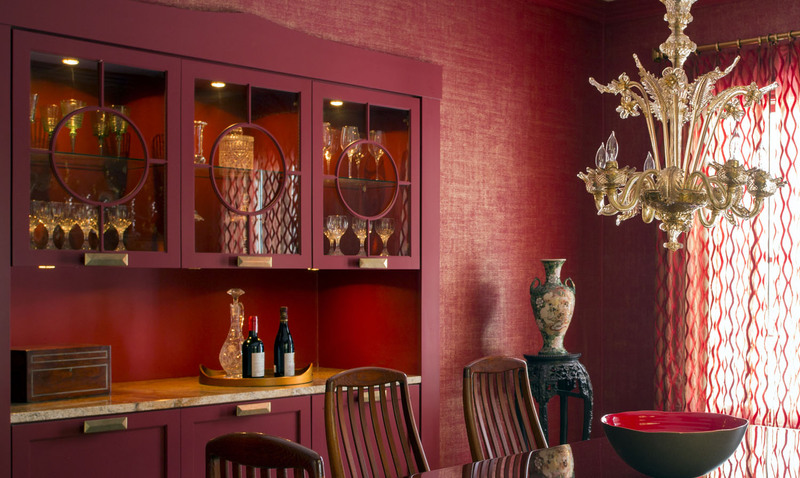 (Above) Custom mahogany built-ins line a full wall of this contemporary home adding architectural interest with various sized cubes to display the homeowner’s eclectic collection of art and decorative accessories. (Above) Built-ins often provide clean lines that blend smoothly into the room’s décor, like the beautiful architectural details found in this dining room on Boston’s north shore. 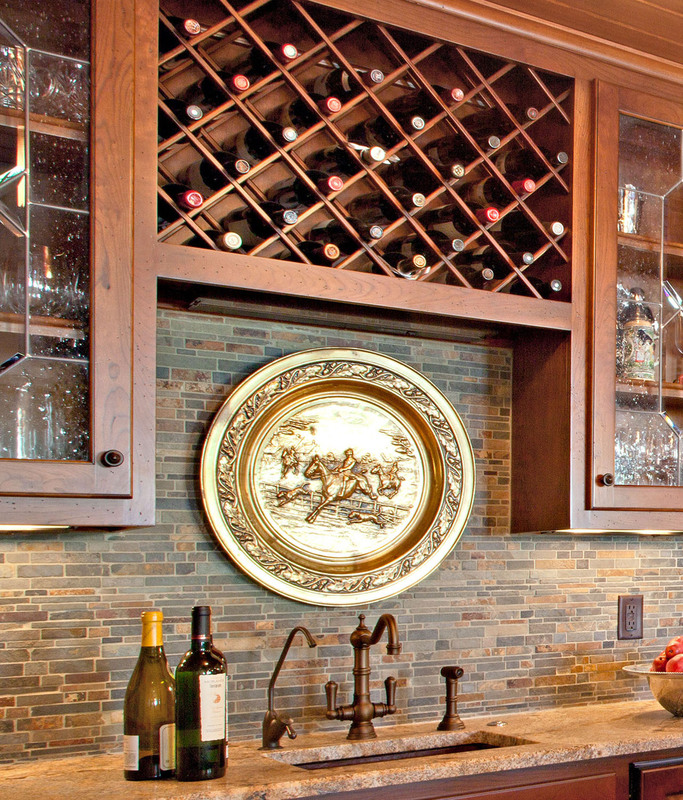 The latest designs in kitchen cabinetry provide endless opportunities for efficient storage. 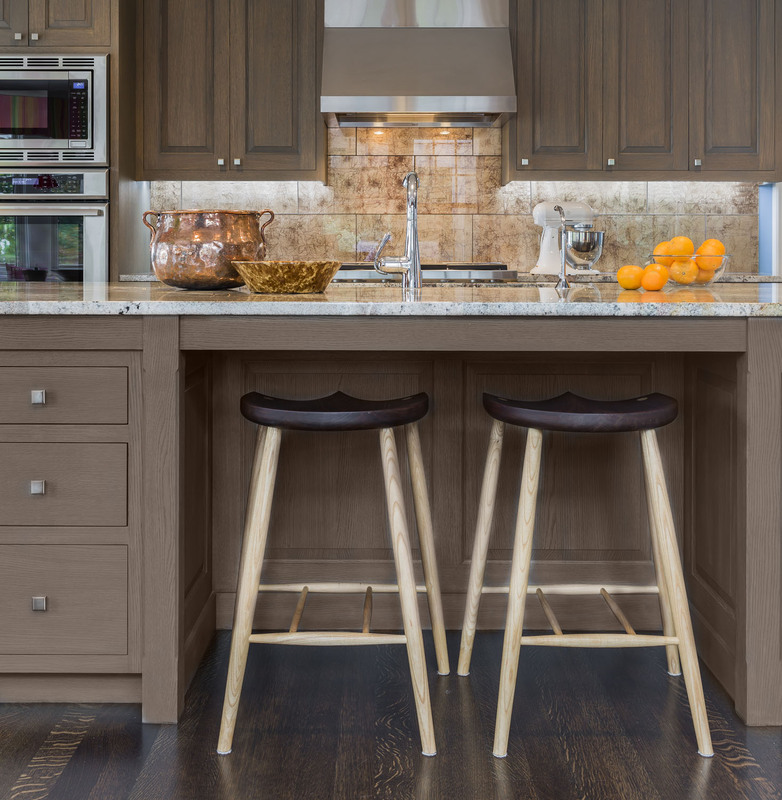 To make the most of built-in custom cabinets, consider taking advantage of space that is typically underutilized like corners, or specialized drawers designed to hold hard-to-store items like cookie sheets or utensils. (Above) A beverage cooler creatively fills the “dead-space” corner of this kitchen peninsula providing easy access from the adjacent living room, dining room and outside deck. 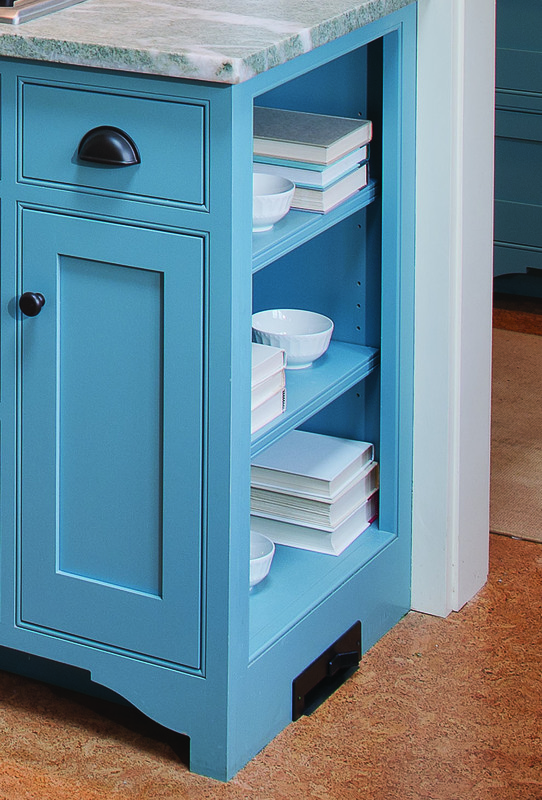 (Above) Here, we designed a custom cabinet with a false front and open shelves for easy access to cookbooks and other small kitchen items. 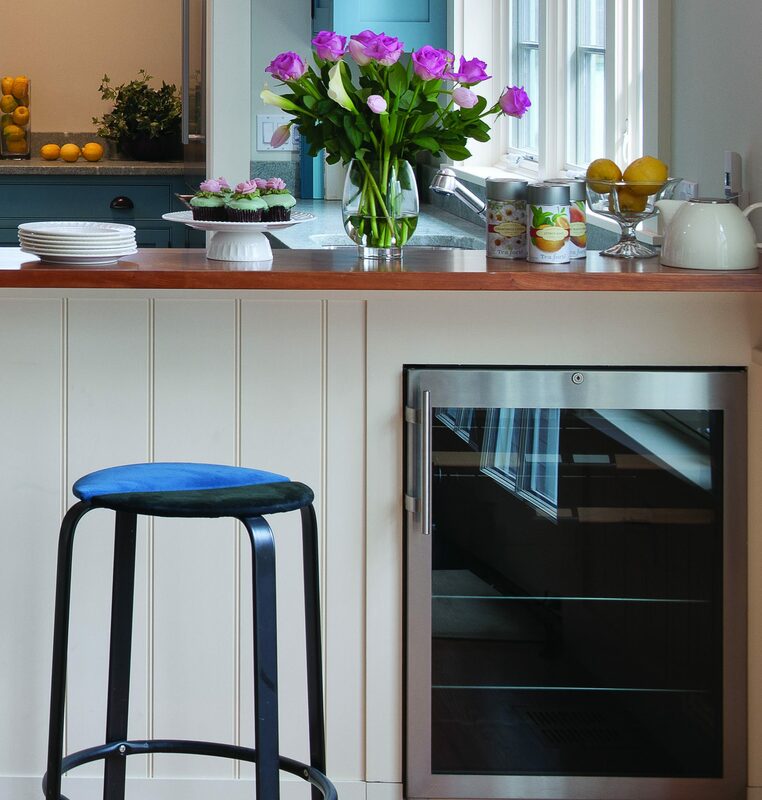 (Above) This island was designed with cabinets and drawers to store kitchen clutter along with an open space under the counter to allow visiting or snacking, and to tuck away the barstools when not in use. 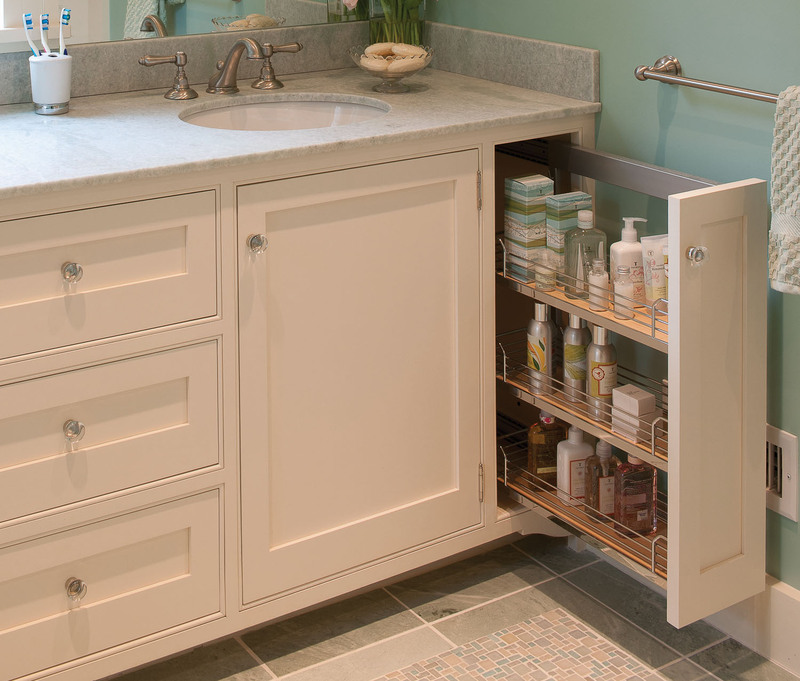 Bathroom storage requires creating a space for unique items like oversized towels, electronic devices and small jars and bottles. 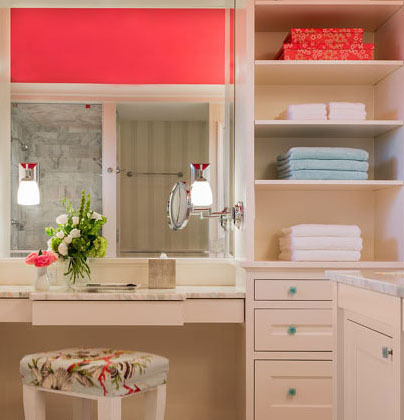 (Above) The custom cabinetry in this master bathroom was designed with multiple storage options. There are large open shelves that reach to the ceiling for easy to grab items as well as colorful display. Drawers below the shelves allow for personal items that are best hidden. (Above) Combining function and style, this master bathroom includes a pair of custom designed large mirrored medicine cabinets, recessed into the wall. Each has adjustable glass shelves and an outlet for easy charging of electric toothbrushes. 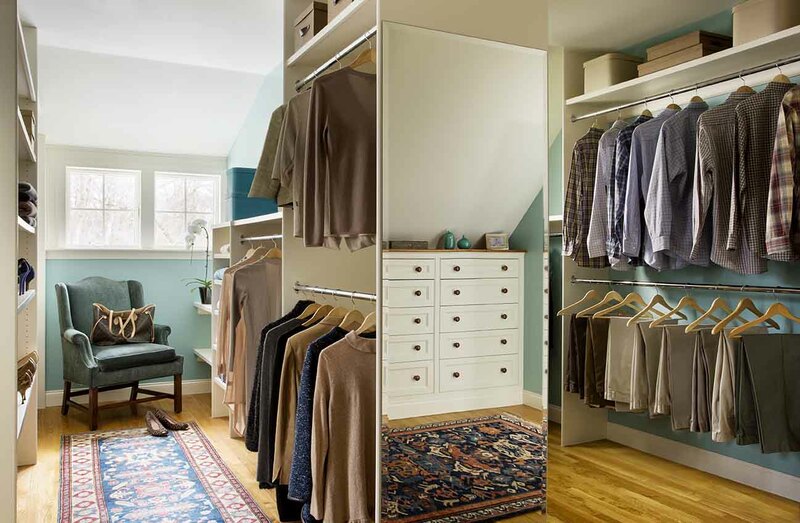 Dressing rooms have become a popular way to store and organize clothes and accessories. More than a closet, they are often designed with windows for natural light and organized with easy access to both hanging and folded clothing and accessories. (Above) While renovating this master bedroom suite, we claimed the previously un-useable space below the eaves by raising the ceiling and adding a shed dormer with windows. The design included His and Hers spaces created by the center peninsula as well as a built-in bank of drawers and a full-length mirror. All the contents here are visible and accessible, and there is space for dressing. 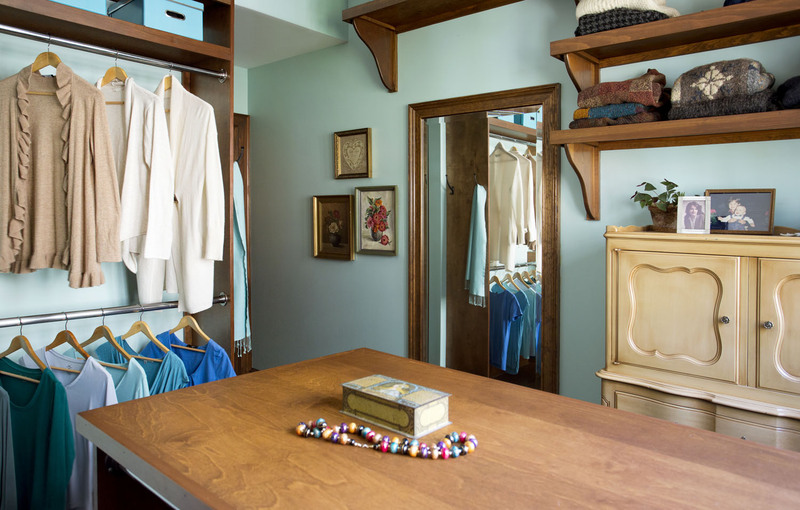 (Above) This well organized closet in a Vermont home combines the efficiency of built-in wooden shelves and hanging for clothing with the warmth and charm of free-standing furniture. 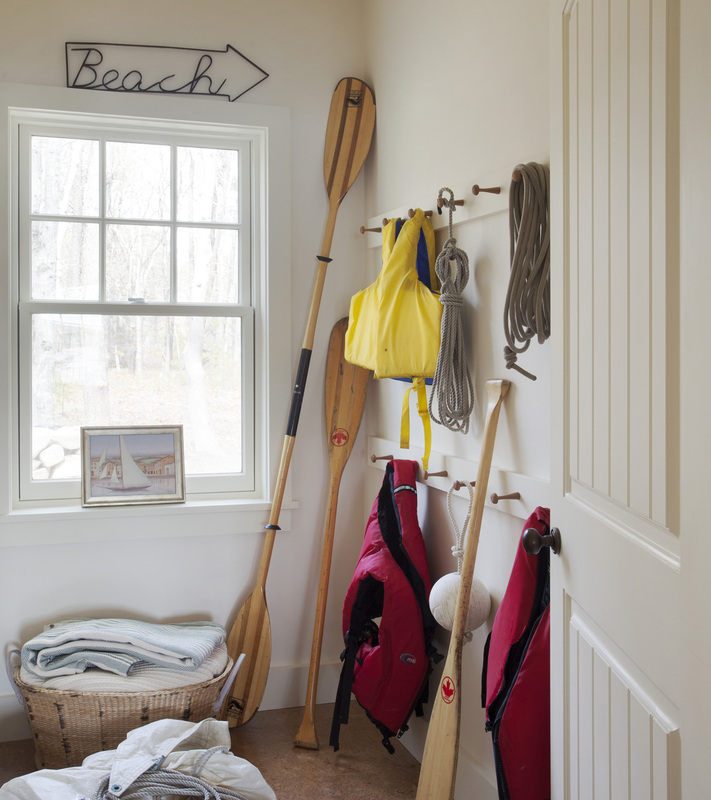 Benches, shelves, bins and hooks are all part of organizing a mudroom, entryway or closet. The goal is to have an easy way to drop and pick up coats, mittens, boots and sporting equipment, storing them neatly, often out of sight. (Above) We designed custom cabinetry in this new mudroom to be multi-functional, adding a large drawer under the upholstered bench for hats, gloves and other items. (Above) In this small beach cottage, storage space is at a premium. These simple shaker hooks are multi functional, providing easy access to an array of items. 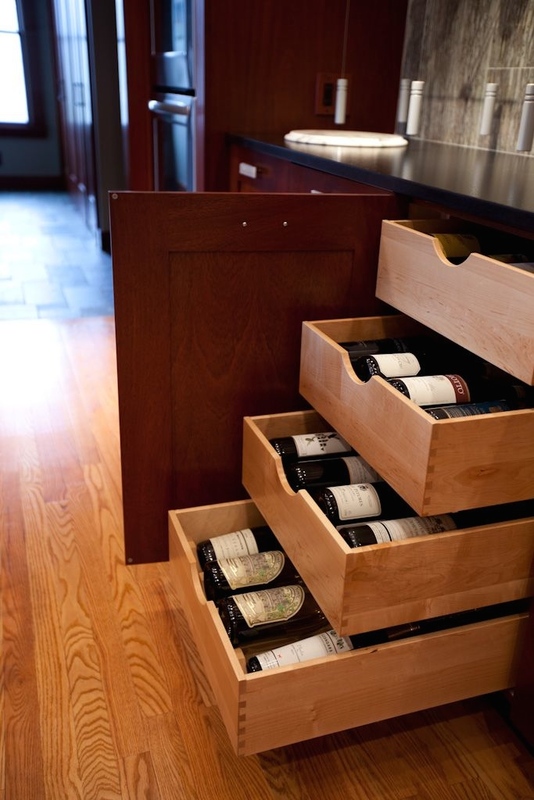 Even the smallest spaces can be used for a bar or wine storage. 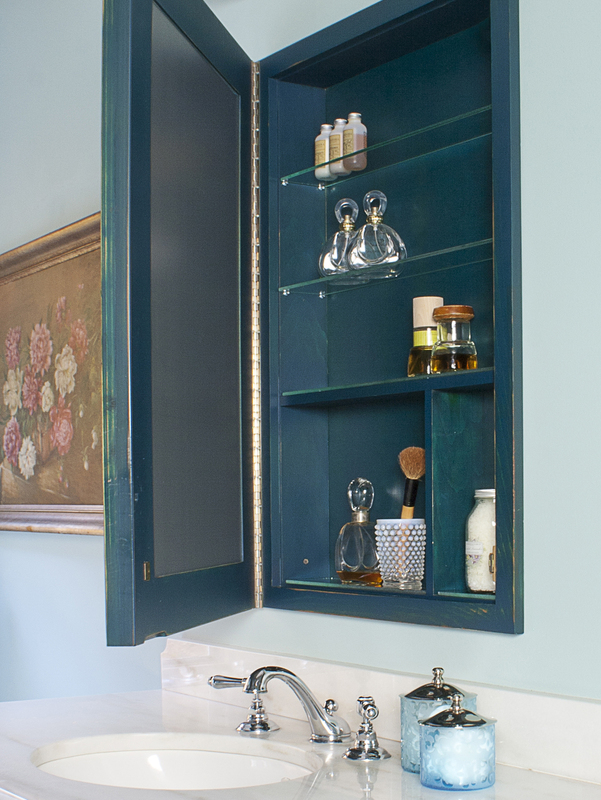 With a little creativity, often-overlooked spaces can turn into shelves or pull out drawers while remaining decorative design elements. 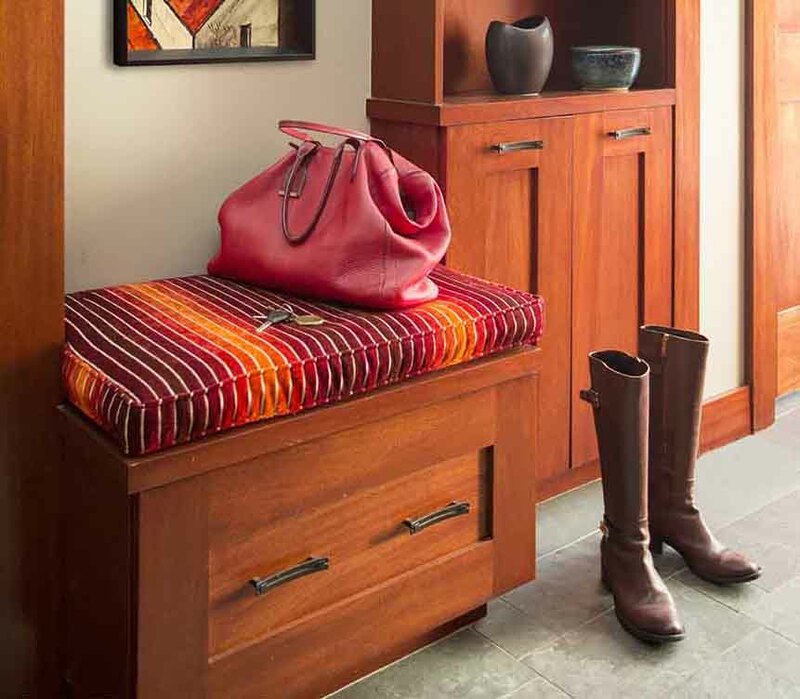 (Above) Hallways are often overlooked for storage but they can be used in interesting and creative ways. 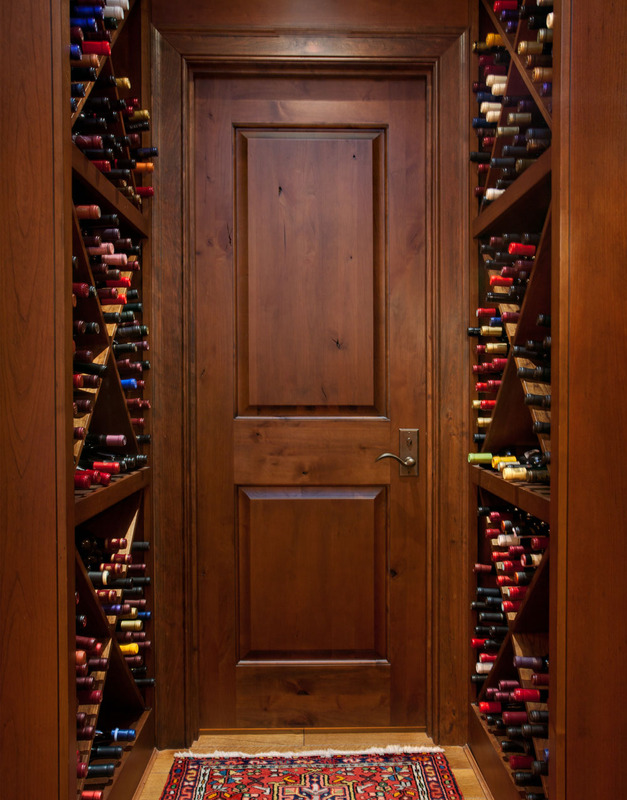 Here, narrow wine shelves are conveniently located adjacent to the family game room and bar. (Above) Maintaining the clean lines of this contemporary home meant keeping clutter to a minimum. These large wine drawers are hidden behind cabinet doors. Photo courtesy of Premier Builders. 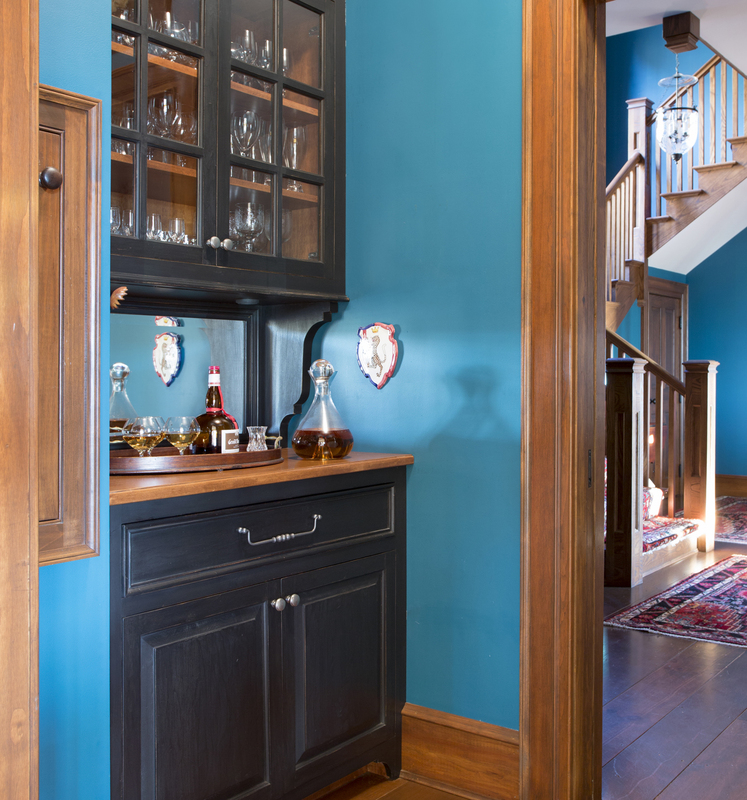 (Above) This bar, tucked in to otherwise unused space between the kitchen and formal dining room of this mountain retreat, allowed for storage as well as a bar/serving area that is attractive and convenient for entertaining. (Above) In this family room bar the space above the sink provides the perfect place for a wine bottle rack flanked by leaded glass doors on upper cabinets. The result is beautiful as well as functional. When considering your options for storage, places that often go unnoticed, like small nooks, spaces under stairs, or the walls along hallways, can provide the space you need. Add a creative use of custom cabinetry and shelving and your beautiful belongings can be displayed and clutter will be out of sight. Spring organizing? Bring it on! If you’d like to know more about storage options that add both function and style to your home, please be in touch.